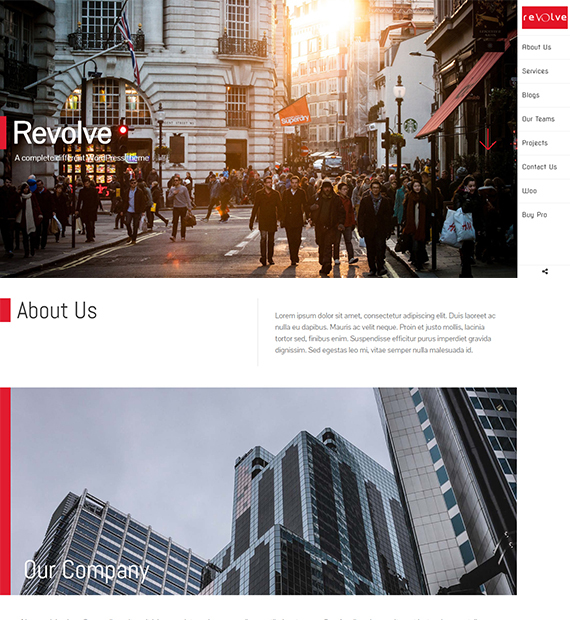 The Revolve is a beautiful custom designed modern free WordPress theme with an elegant design perfect for portfolio, personal blog, business, photography or any other use. It is feature-rich, multi-purpose and powerful WordPress theme with a beautiful and user-friendly design. It offers a complete customization capability and multiple options for building a website instantly with some of its highlighting features like various homepage sections and full screen vertical sliders.